When I returned to Berkeley after 25 years in San Jose where I taught in public elementary school over 12 years, I took a job driving Berkeley Unified School District (BUSD) school buses. My first routes were in South Berkeley. 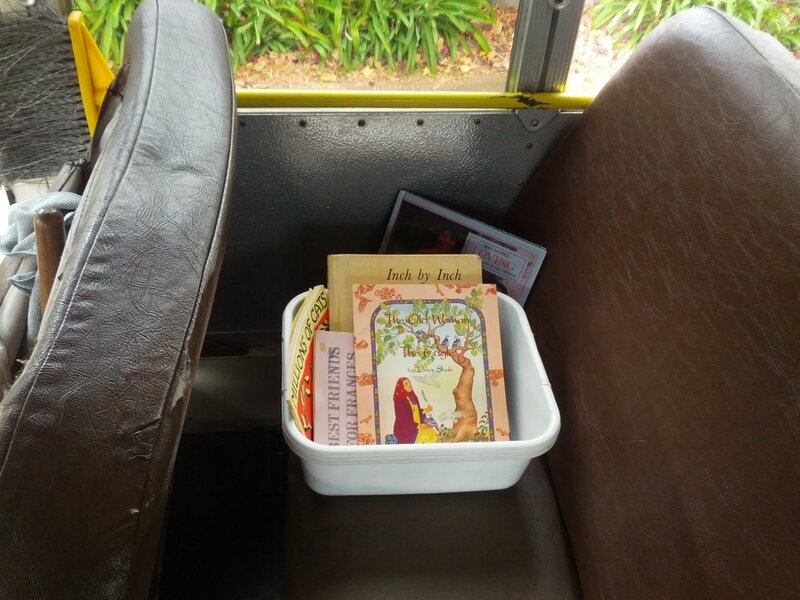 I started giving away books on the bus. This opened the door for conversations with children about books and reading. I met many excellent readers. I also met children who struggled with reading. Many of them did not have a history of books in the home or personal book ownership. In Berkeley — with its rich culture of creativity, ideas, and ideals — it is unconscionable to me that any child's earliest years do not include ownership of good books. I began researching to start a delivery program for this city. Now, with Imagination Library, my vision has expanded: I want to saturate Berkeley's under-5 population with great home library ownership, then work to bring Dolly Parton's Imagination Library to other East Bay cities. Happily, not long after I began looking in to how to create a home delivery system, I learned of Dolly Parton's Imagination Library (IL). The IL system is well-established and delivers excellent books at a far lower cost than The BBBP ever could have on its own. Becoming an Affiliate was an easy decision. That's it. And the child is registered for the program — not the parent. Any nonprofit can start an IL Program and define their region. The BBBP has defined Berkeley city borders as our region. Circumstances beyond a child's age and Berkeley residential address have no bearing on their eligibility to receive books. Putting a good book directly into a child's hands still gives me a sweet thrill. Now I get a similar thrill doing data entry as I input names, birthdates, and addresses into Imagination Library's Book Ordering System. Who knew data entry could be so uplifting? It's ensuring a child gets a good book every month, month after month. I love hearing from parents about their child's excitement when a book, personally addressed to them, arrives in the mail. Another common anecdote is a parent reporting that they share and read books with their child more often as Imagination Library books fill their home. The excitement of receiving a gift in the mail is part of Imagination Library's power: The excitement of receiving their own book in the mail makes children want to read and to have the book read with them. You can't buy that on any shelf.